Nice article. 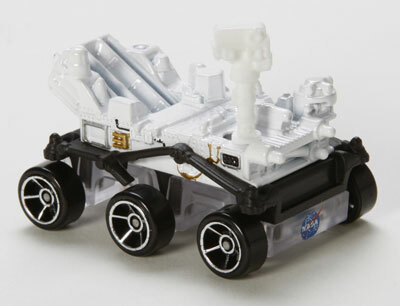 One added note for your readers…the 2012 Hot Wheels Mars Rover Curiosity is a part of Mix Q, and can arrive anytime from late in August through ealry October depending on factors like what part of the country you’re in and what the sales volume of your local stores are. Good luck to everyone hoping to grab one of these Hot Wheels cars. One more quick note…Walmart, which is likely the best bet for people after one of these Hot Wheels, price matches…. So you should be able to snag one of these for under a dollar as Target often runs sales at 84 or 89 cents!